Bank accounts related to the embattled HNA Group were temporarily frozen after one of its lenders concluded that the collateral being put up by a group unit was being used for multiple borrowings, according to people with knowledge of the matter, the South China Morning Post reported. The move comes as the conglomerate is facing rising debt pressure with six units of the HNA Group, including Tianjin Tianhai, HNA-Caissa Travel Group, Hainan HNA Infrastructure Investment Group, Bohai Capital Holding, HNA Investment Group and flagship Hainan Airlines Holding, having suspended their shares from trading in Shenzhen this month, pending major disclosures on the situation in the coming weeks. Another unit, CCOOP Group, has been halted from trading since November, pending the disclosure of some asset purchases. As financial pressures have been piling up at HNA, one of the world’s most indebted companies, after the conglomerate spent tens of billions of dollars in an acquisition spree in recent years, the Group reportedly is considering the sale of Hong Kong Airlines, one of the flagship units in the group, Sydney-based consultancy CAPA reported. CAPA noted this week that there has been "speculation that HNA has too much pride to sell Hong Kong Airlines, unless for an exceptional price. Then again, selling Hong Kong Airlines could be easier: unlike HNA's airlines in mainland China, Hong Kong Airlines has no government ownership, and the local market has a more open regulatory environment." In a related development, Reuters reported this week that HNA is considering an initial public offering (IPO) or sale of cargo handler Swissport as the cash-strapped conglomerate seeks to fix its finances, people close to the matter said. The Reuters report added that a process to list or sell Swissport could start as early as the second quarter with HNA hoping to secure a valuation of at least 2.7 billion Swiss francs (USS$3.71 billion) for the firm, the price they paid for it in 2015. Rothschild was advising HNA, the report said. However, HNA was expected to wait until its IPO of Swiss caterer Gategroup was executed before proceeding with any Swissport deal, Reuters quoted sources as saying, adding that Swissport also needed to close its acquisition of Australian ground handler Aerocare, expected by the end of the first quarter. HNA planned to float Gategroup in Zurich around March or April in a deal valuing the firm at about 2 billion Swiss francs including debt, sources close to that deal said. Swissport has annual sales of 2.7 billion euros and provides ground services for more than 230 million passengers, handling 4.3 million tonnes of cargo a year for 835 aviation clients. 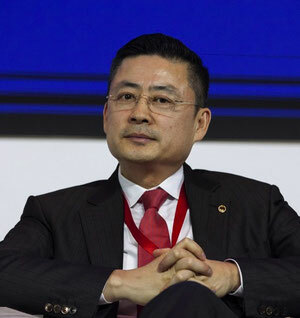 Reuters also quoted HNA Group chairman Chen Feng as saying last week that he was confident China's aviation-to-financial services conglomerate would manage its cash crunch, and would continue to receive support from banks and other financial institutions this year. With the latest decision by Chinese banks to freeze HNA’s accounts because multiple loans have been tied to the same collateral, makes that assumption rather contradictory.